Healthy Lunch/Dinner Delivered to Your Office (or) Home! ‘A Salad Company’ delivers to your office (or) home a healthy and yummy assortment of lunch/Dinner every day. You can now forget your lunch box and subscribe to our lunch/Dinner plans! 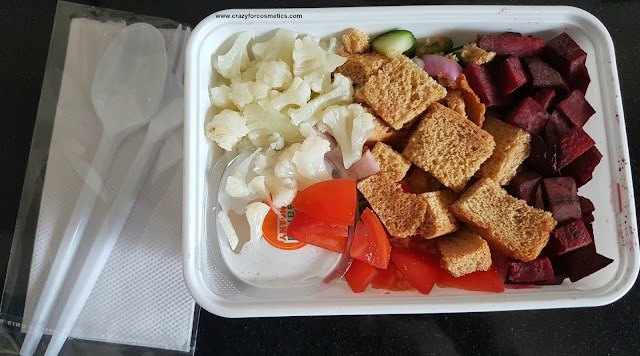 The salad that I got to taste was Vegetarian Caesar's Salad with a whole bunch of vegetables. 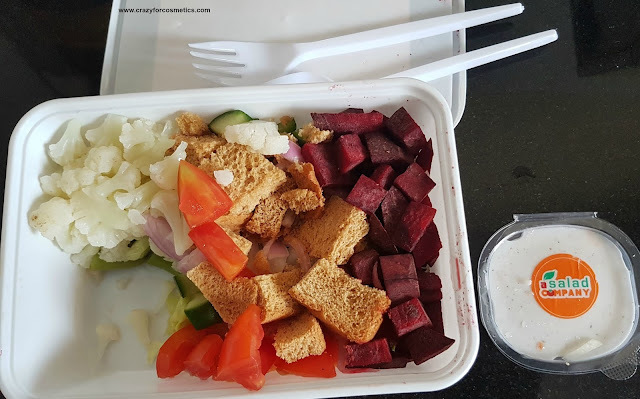 It had onion, tomato, lettuce, capsicum, carrot, beetroot, boiled beans and cauliflower, cucumber and bread croutons with a homemade Caesar's Dressing without egg. What more do you want for a sumptuous afternoon meal? I thoroughly enjoyed chewing on those crunchy vegetables with the fresh dressing that was prepared in a healthy home environment. I felt that the meal was complete with almost 7 to 8 vegetables and it kept my hunger at bay for about 3 hours. I really liked the fact that the dressing was freshly made without the use of egg but it tasted really good in spite of that. The dressing was adequate to cover all the vegetables and was not overpowering. It is nice that they have fixed menu for each day so that you can have a variety as well as be prepared for what to expect each day. 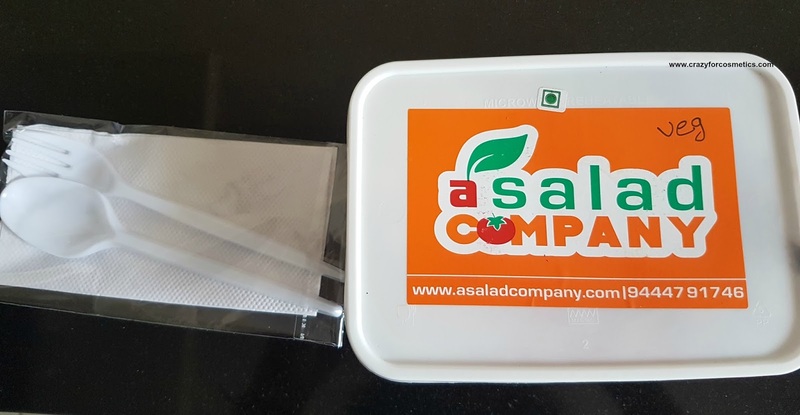 Do try out their salads and go in for subscription packs to get good discounts and have a hearty, healthy, happy meal.